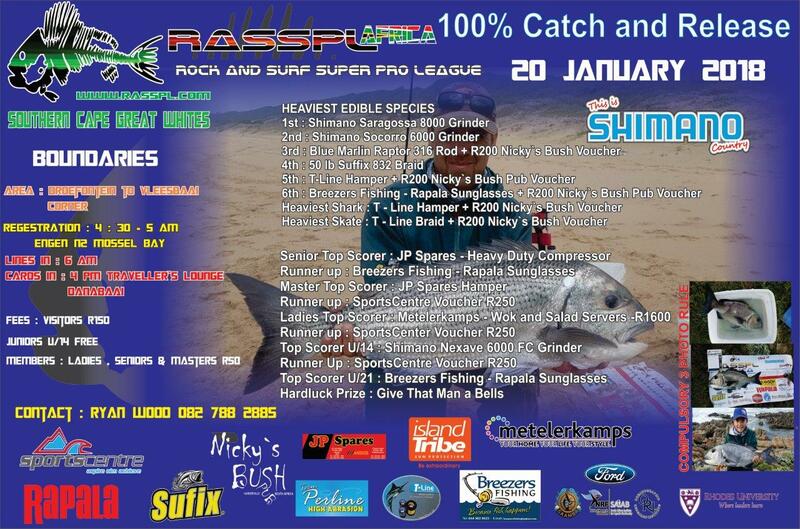 Come check us out this weekend as we hit the waters between Groenvlei and Vleesbaai this coming weekend. We will be meeting at the Engen garage on the N2 for the morning registration in Mossel Bay for a quick briefing and coffee before fishing this awesome awesome area! First competition for 2018 promises to be cracker so come along and join us and have some fun with us!